Come close to Me and I will come close to you. I love this promise from God in today's Scripture verse. God is waiting for you and I to come close to Him. Through the finished work of Jesus on the cross, He has made the first move and has come as close to us as possible. All we have to do is simply acknowledge His willingness to come close to us and take a step towards Him. Just like the father in the Prodigal Son story in Luke 15, God is waiting and watching for us to turn to Him in order that He might take us up in His arms and embrace us for the rest of our lives. He is not expecting us to jump through all kinds of hoops to get to Him, He just wants us to turn our hearts toward Him today. My prayer is that we will all realize the truth that God is waiting for us to come close. May each one of us have the courage just to take one baby step toward our Heavenly Dad and watch how He responds. 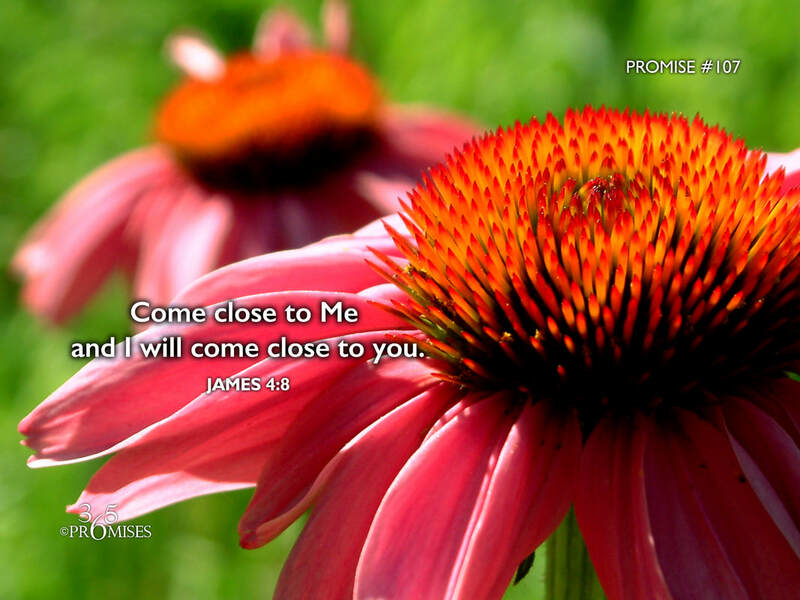 When we come close to our Father, He is ready, willing and able to come close to us!